ELD Compliance Timeline – What's the Industry's Future? Read more about ELF and what is the future of the industry thanks to this infographic. 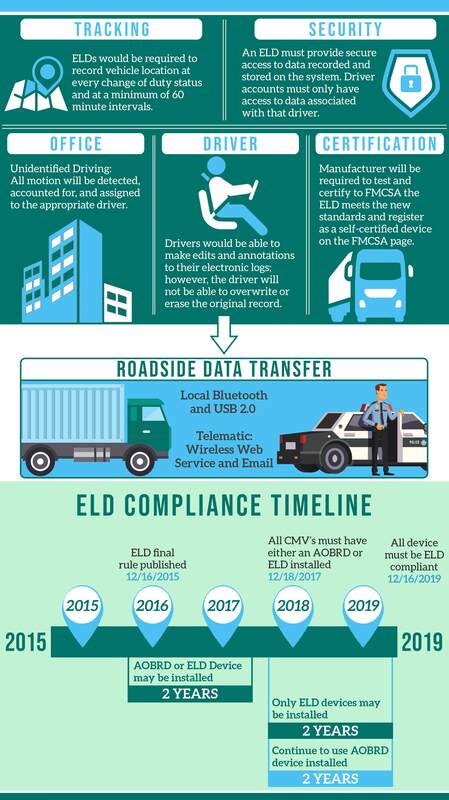 The infographic presents an ELD compliance timeline and some valuable information. For example, ELDs would be required to record vehicle location at every change of duty status and at minimum of 60 minute intervals.